The QSC Touchmix 16 embodies everything that a modern, digital mixer should be. A fast, fun workflow with an intuitive control interface, wi.. The QSC Touchmix 16 embodies everything that a modern, digital mixer should be. A fast, fun workflow with an intuitive control interface, wireless enabled and a comprehensive set of I/O connectivity. Meet the QSC Touchmix 16 and be even more creative in your mix. There's enough going under the hood to keep the pros happy, squeezing large console functionality into a convenient portable digital mixer. While the straightforward interface and unique features deliver great results for entry level users. Designed in partnership with industry veterans Greg Mackie and Peter Watts the Touchmix series may well change your expectations of affordable mixers. Be part of the digital mixer revolution, deep and programmable when you need it but simple and intuitive come show time. The QSC Touchmix 16 is available for full product demonstration at your local PMT Store, with PA experts on hand to talk you through every feature and answer any questions. 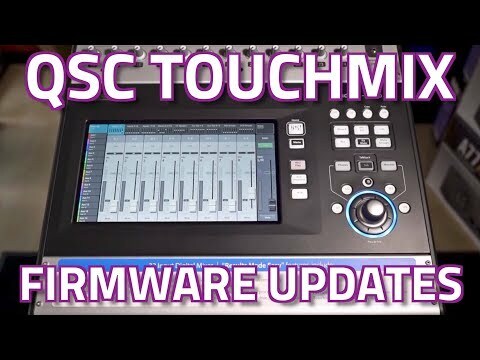 As of June 6th, QSC will be releasing Version 3.0 of the TouchMix firmware. This exciting new update includes 20 fantastic enhancements making the TouchMix 8 and 16 even more powerful, comprehensive and easy to use mixers. New, enhanced versions of the official TouchMix app for iOS and Android; TouchMix Control will be available from the respective app stores for your device. 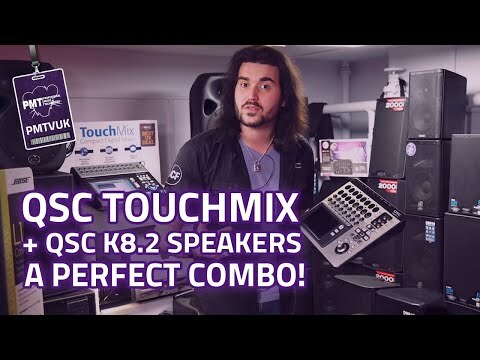 Whether you're a sound engineer working with live music or recording in the studio, the QSC TouchMix 16 has an array of powerful features that ensure you get fantastic results every time. Buy the QSC TouchMix 16 at PMT Online and get Free Next Day Delivery. The TM16 is my first digital mixer purchase and I couldn’t be more pleased! A great mixer which is easy to use and produces a great live sound almost straight out of the box. QSC aftercare and support is first class, a minor issue with a WIFI dongle was resolved quickly and efficiently and the firmware upgrades keep you ahead of the game adding functionality and performance improvements as and when released. Lots of useful tutorials and ‘how to’ videos on YouTube and a great QSC user group on Facebook to help you on your way. Overall I would have given a sixth star for all round great product well designed! !